Open moist ground: shores and meadows, even marshes; roadsides and railroad banks; clearings and borders of forests; river banks and thickets, borders of streams. Often forms large colonies from spreading horizontal roots. The sessile cauline leaves and the long-beaked, flattened, and sparsely pubescent achenes are distinctive. 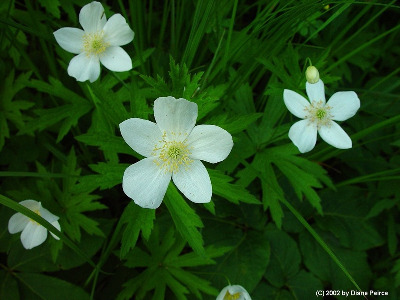 The attractive white flowers are (2–) 2.5–4.8 (–5) cm across. MICHIGAN FLORA ONLINE. A. A. Reznicek, E. G. Voss, & B. S. Walters. February 2011. University of Michigan. Web. 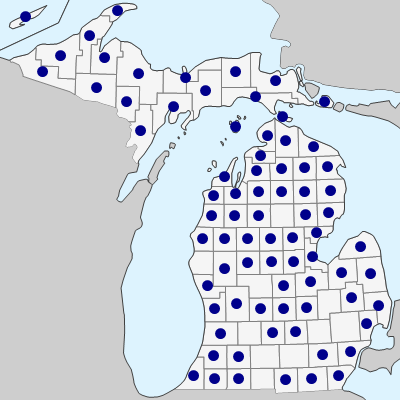 April 21, 2019. https://michiganflora.net/species.aspx?id=2357.